Carl F. Pollard’s Kiss Moon will attempt to land her second graded stakes win of the year when she starts as the 120-pound high weight and faces a dozen fillies and mares in Saturday’s 42nd running of the $100,000 Cardinal Handicap (Grade III) over 1 1/8 miles on Churchill Downs’ Matt Winn Turf Course. 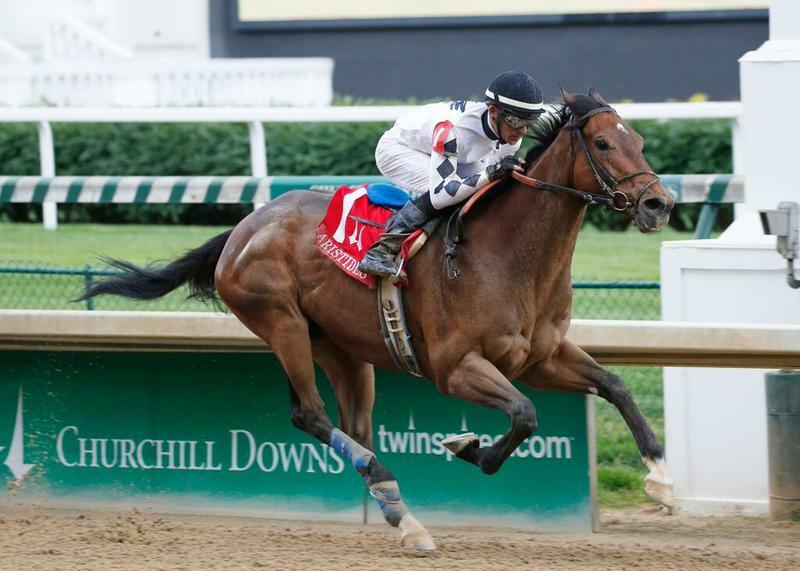 In June, the 4-year-old daughter of Malibu Moon won Churchill Downs’ Old Forester Mint Julep Handicap (GIII) which gave trainer Dave Vance his first graded stakes triumph since My Trusty Cat won the 2005 Humana Distaff (GI). 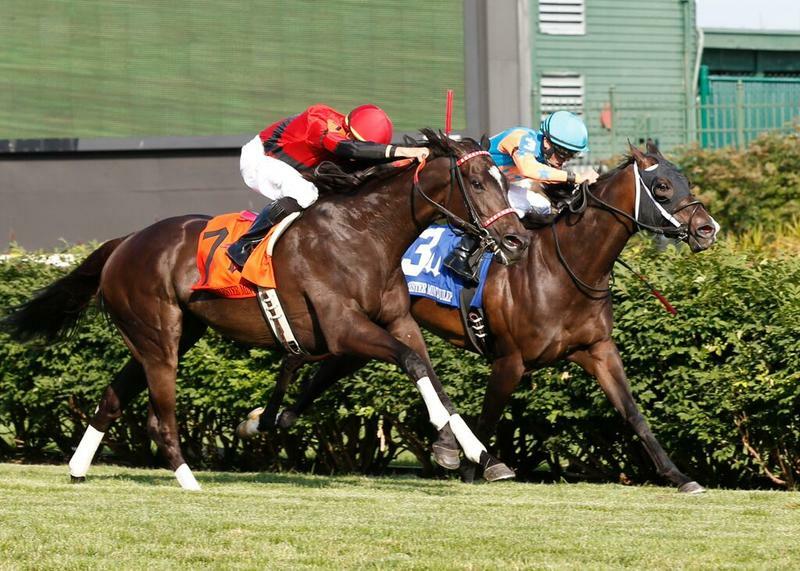 Aside from her career-highlighted victory in the Mint Julep, Kiss Moon has several other stakes triumphs on her résumé, which includes a victory in the Fasig-Tipton Ladies Turf Stakes at Kentucky Downs two starts back. As a 3-year-old, she won the Hatoof at Arlington Park and TaWee at Indiana Grand. Vance believed that Kiss Moon would prove to be a good horse from the beginning because of her bloodlines. The filly’s dam, Kiss the Devil, won the Early Times Mint Julep (GIII) as a 5-year-old and was placed in multiple graded stakes races. Vance expressed a touch of frustration with getting her to the races at the beginning of her 4-year-old campaign due to the weather conditions at Oaklawn Park, where he is based during the winter months. Vance stated that he is expecting to have Kiss Moon’s half-brother in his barn next year, who is by 2004 Horse of the Year Ghostzapper. The Cardinal Handicap field from the rail out (with jockeys and assigned weight): American Mon Amie (Channing Hill, 111 pounds); Faufiler (IRE) (Stephane Pasquier, 115); Wiener Valkyrie (GB) (Shaun Bridgmohan, 115); Invading Humor (Ricardo Santana Jr., 116); Lady Fog Horn (Albin Jimenez, 112); Sistas Stroll (Drayden Van Dyke, 115); Bitty Kitty (Corey Lanerie, 117); Lacy (GER) (Joe Rocco Jr., 115); Emotional Kitten (Mario Pino, 117); Street of Gold (Chris Landeros, 114); Button Down (GB) (Paco Lopez, 118); Kiss Moon (Julien Leparoux, 120); and Annulment (Jon Court, 116). The Cardinal will go as Race 10 of 11 on Saturday at 5:15 p.m. ET. BREEDERS’ CUP SPRINT ALSO-RAN ALSVID BACK FOR SATURDAY’S BET ON SUNSHINE – Black Hawk Stable’s Alsvid, 13th in last month’s TwinSpires.com Breeders’ Cup Sprint at Keeneland, looks to return to his winning ways in Saturday’s $80,000-added Bet On Sunshine Overnight Stakes over six furlongs at Churchill Downs. A winner of Churchill Downs’ Aristides (GIII) in May, Alsvid is seeking a return to his top form after a trio of subpar performances against graded stakes company – a fifth in the Smile Sprint Handicap (GII) at Gulfstream Park on July 4, a seventh in the Phoenix (GIII) at Keeneland on Oct. 2, and the Breeders’ Cup Sprint. The Bet On Sunshine field from the rail out (with jockeys): Candip (Calvin Borel); Brewing (Ricardo Santana Jr.); Bagg O’Day (Joe Rocco Jr.); Conquest Tsunami (Shaun Bridgmohan); W.B. Smudge (Julien Leparoux); Jasizzle (Perry Ouzts); Alsvid (Corey Lanerie); Doubledown Again (Paco Lopez); and Shamrock Road (Walter De La Cruz). It precedes the Cardinal Handicap as Race 9 at 4:45 p.m. ET. 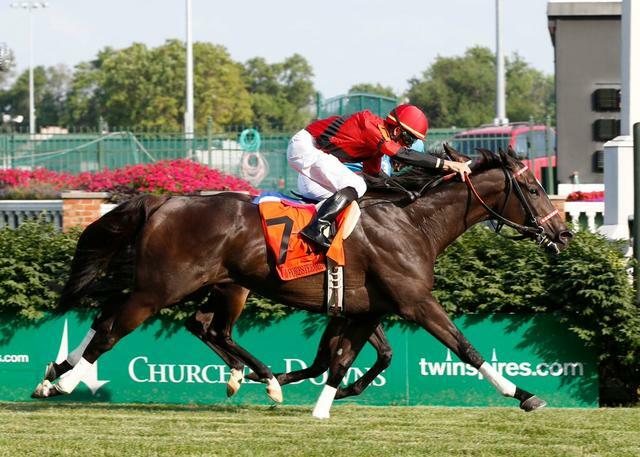 The Bet On Sunshine is named in honor of David Holloway’s homebred Bet On Sunshine who was trained by Paul McGee and won eight of his 20 starts at Churchill Downs, two of which were back-to-back victories in the Aristides (GIII) in 2001-02. In a racing career that lasted eight years, he racked up earnings of $1,449,882, winning 22 of his 47 starts. ASMUSSEN 2-YEAR-OLDS GUN RUNNER AND STAGEPLAY BREEZE – Ron Winchell and Three Chimney Farm’s Gun Runner and Mike Rutherford’s Stageplay, both trained by Steve Asmussen, breezed five furlongs on Monday in preparation for starts in the $200,000 Kentucky Jockey Club Presented by TwinSpires.com (Grade II) and $200,000 Golden Rod Presented by TwinSpires.com (GII), respectively. Gun Runner was clocked in 1:01. Stageplay was credited with 1:00.20. Assistant trainer Scott Blasi oversaw their training while Asmussen is in New Orleans preparing for the Fair Grounds meet which opens Thursday. Stageplay will enter the Golden Rod for fillies off a 1 ½-length victory in the Rags to Riches Stakes on opening day of the Fall Meet, and will be going around two turns for the first time. 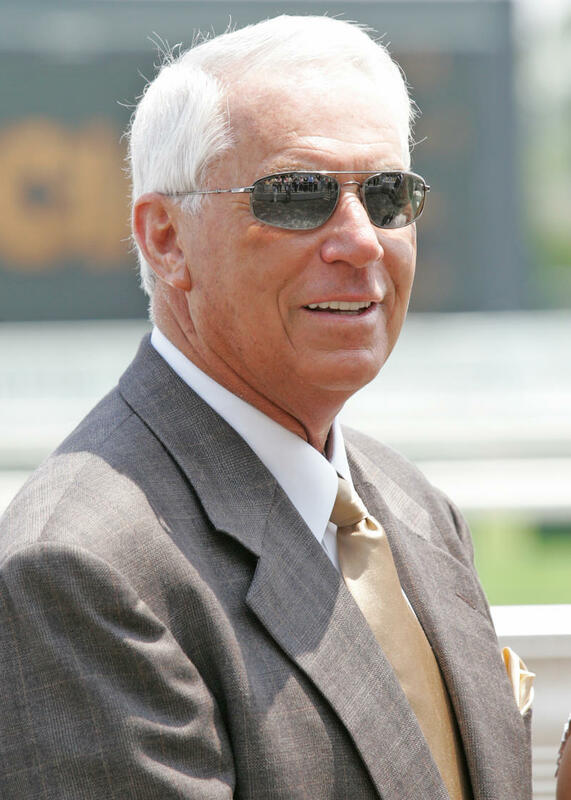 LUKAS EXCITED ABOUT RECENT MAIDEN VICTOR Z ROYAL – Hall of Fame trainer D. Wayne Lukas believes he could have a potential Kentucky Derby hopeful with Zayat Stables’ recent maiden winner Z Royal, who took Saturday’s ninth race, a one-mile maiden special weight. The Eskendereya colt ran one mile in 1:37.18 to beat Zapperini by a neck. DOWN THE STRETCH – Field size update: Through the first 11 days of the 21-day Fall Meet, the average field size is 9.67 starters per race, and only six of the 114 races have had less than seven starters. By comparison, the average field size through the first 11 days of the 2014 Fall Meet was 8.41, and 21 of the 110 races had less than seven starters. … Meet Leaders: jockey Corey Lanerie (18 wins); trainer Chris Richard (6) and owners Midwest Thoroughbreds, Inc. (3), Maggi Moss (3) and Ken and Sarah Ramsey (3). … Birthdays: trainer Steve Asmussen celebrates milestone No. 50 on Wednesday and jockey Ricardo Santana Jr. will be 23 on Thursday. … The next races on the “Road to the Kentucky Derby” and “Road to the Kentucky Oaks” come Saturday at Delta Downs in Vinton, La. The $1 million Delta Downs Jackpot (GIII) for 2-year-olds at 1 1/16 miles (Race 7 at 5:15 p.m. ET) and $400,000 Delta Downs Princess (GIII) for 2-year-old fillies at one mile (Race 6 at 4:43 p.m. ET) offer 10-4-2-1 points to Top 4 finishers.